LG may be a rather new name in the phone industry but that doesn't mean it can't compete with the big names. 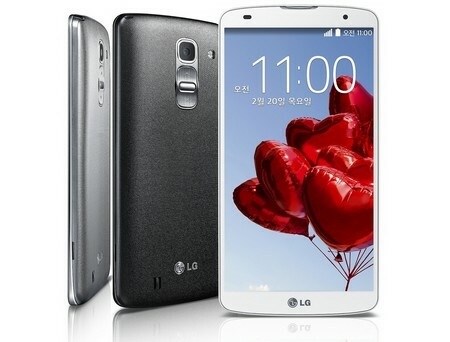 The LG Optimus G Pro 2 targets phablet users and is gaining quite a bit of attention. The LG Optimus G Pro 2 comes with a 5.9 inch display with a resolution of 1080 by 1920 pixels. The True IPS LCD screen has great colors, viewing angles and contrast giving users an enjoyable experience when watching movies and videos. The device runs on a Qualcomm Snapdragon quad core processor with clock rate of 2.26 GHz. It also comes with 3 GB of RAM to give users a very smooth and seamless performance. Furthermore, it features 16 GB or 32 GB internal memory, which can be boosted up with an external microSD card. However, the worst selling point for the LG Optimus G Pro 2 is probably its design. The sharp edges can be quite uncomfortable as the big size will not fit comfortably in one hand. Furthermore, the tap to unlock feature sounds great on paper but doesn't work quite well in reality due to responsiveness issues. In short, the LG Optimus G Pro 2 is a great phone with good specifications but lacks an elite look. Users who aren't so concerned about looks should consider this phablet.